GENERAL LICENSE CLASS This class has been cancelled as of 2019-04-17. There is a materials package required for the course, which contains quizzes and other materials needed ($8.00). Each student will need to purchase their own Books and Manuals for the class. We also require a minimum of 07 students in order to start the class. Part 97 PDF: "Part 97 PDR Link", "Part 97 Link"
The current manual for the General Class License is set to expire on June 30th, 2019. It is expected that the next new manual for the General Class License will be released at the end of May 2019. There is no Amateur Extra Class scheduled at this time. The next class will be announced here when we are ready. The class instructors are Dave Brooks N7HT and Galen Sutton KA7UQH. Please register for the class by contacting Dave Brooks. His contact info is listed below. If you use his email to register for the class please be sure and put "Extra Class Course" in the subject line of the email. ARRL Extra Class License Manual, 11th edition. ARRL FCC Rules and Regulations Manual, fourth edition (effective date of Nov. 01, 2017). There is also a materials package that will be available from the class instructor, Dave Brooks N7HT. This package is required and will cost $8.00 and contains quizzes and other materials that are needed for the class. Each student will be required to obtain their own manuals before class begins. 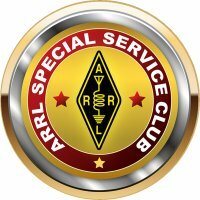 They can be found on the www.arrl.org website, plus other places. For further information please contact Dave Brooks with any questions or concerns you may have about the class.